Altering the height of your paddles, from say a high stroke when paddling forward to lowering the paddles to enable reverse strokes, stern rudders. This also will lower your centre of gravity when entering a fast flow and the low paddle will allow you to segue into a stern rudder. Slowing your stroke rate, you paddling too much, trying to get strokes in where an active static blade would suffice? Where are you? In relation to your paddling that is? 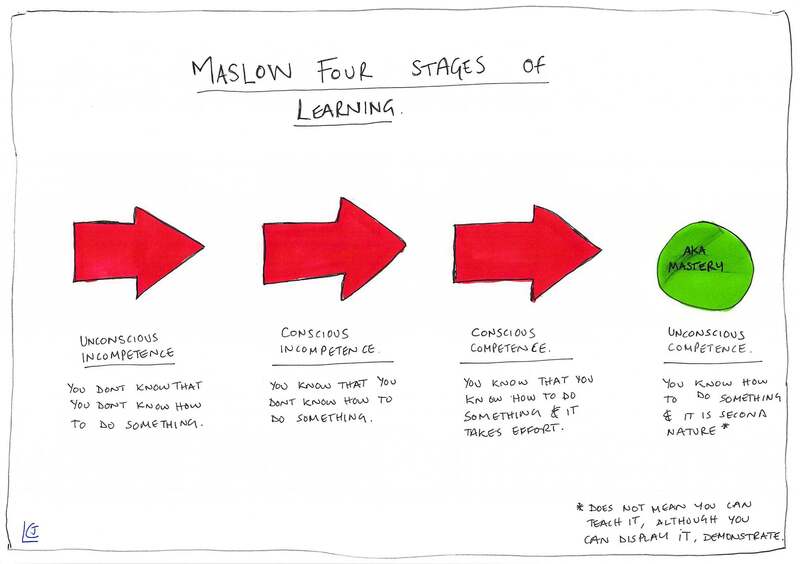 Do you know where you are along the continuum of acquiring a higher level of competence? The fourth stage does not mean that you know how you do something as it has become second nature or able to describe or teach something effectively. This lack of understanding can explain why often the best coaches were not necessarily the best players, if you found an activity easy then you may not find it easy to comprehend the difficulties others are having and therefore break it down for others to learn. So wherever you are on your paddling education whether it be confusion or frustration, knowing this is natural and part of learning can be some comfort. So practise and reflect on your success to determine what to change. No matter what your level there is always something to learn. 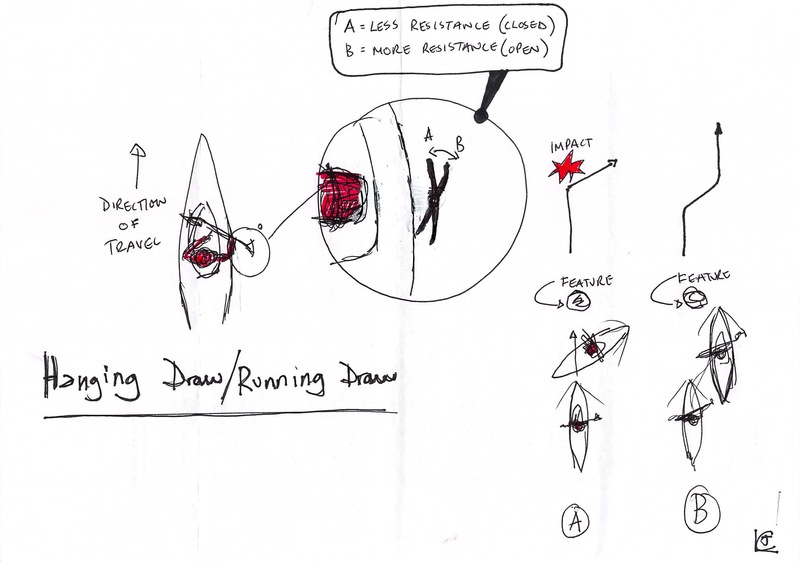 Running draw stroke aka hanging draw. Ron Lugbill Link: Running draw stroke. The running draw is a stroke that enables a boat to move sideways without having to expose the flank of the boat to an object i.e. rock/river feature thus risking an impact/wrap whilst also enabling the craft to keep moving forwards. This stroke is a good choice when lining up the boat before a rapid/section. Place the blade in the water as per the start position of the draw or scull, ensure the blade is next to your torso then whilst moving forward open up the blade face to get resistance. You will need to experiment with the amount of blade face to open up, it is a balance between resistance to get some sideways movement and also maintaining forward speed. 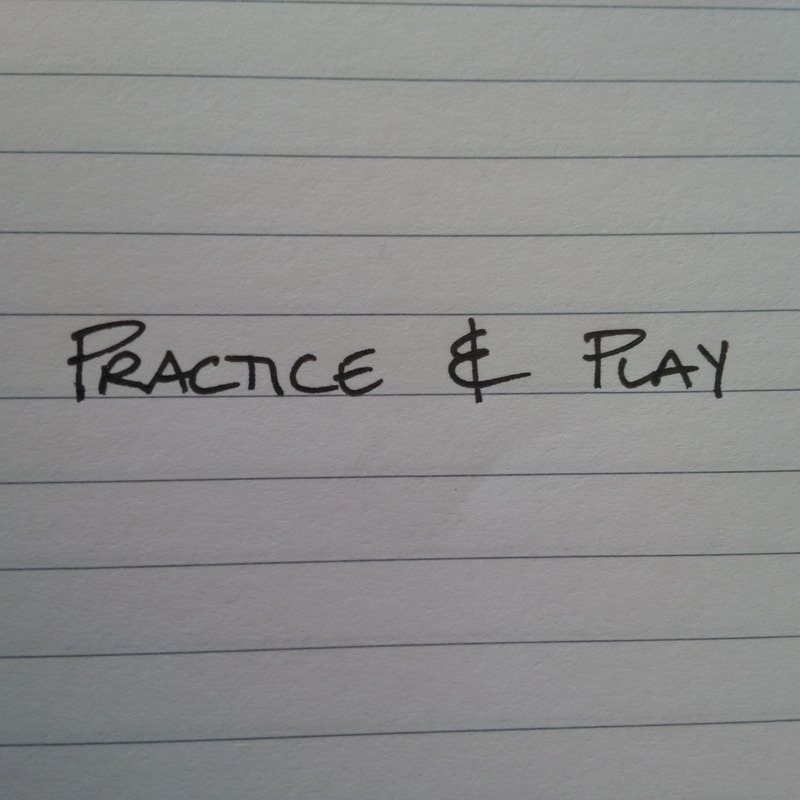 The rest is up to the simple act of practice. Continuing the theme of self-awareness/sensitivity to improve technique let us look at the use of a witness. 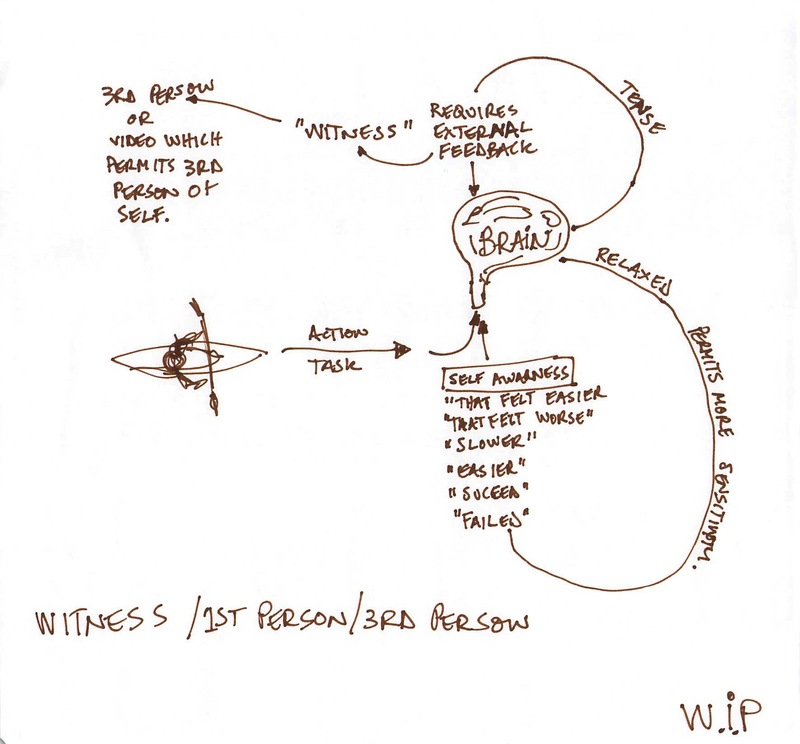 A witness is good for safety, reassurance and feedback. Over time reassurance is less important as the paddler becomes more confident, safety is a personal thing. Unless the paddler is calm and using the minimum required effort then they will not develop self-awareness and sensitivity to be able to take comments on board and change their technique or in time become self-aware. See what happens when you focus on one or the other. Vary speed and tightness of curve. Cost £4.00 adult £2.00 child (16 and under) Non Members cost will be £5 adults and £2 children. 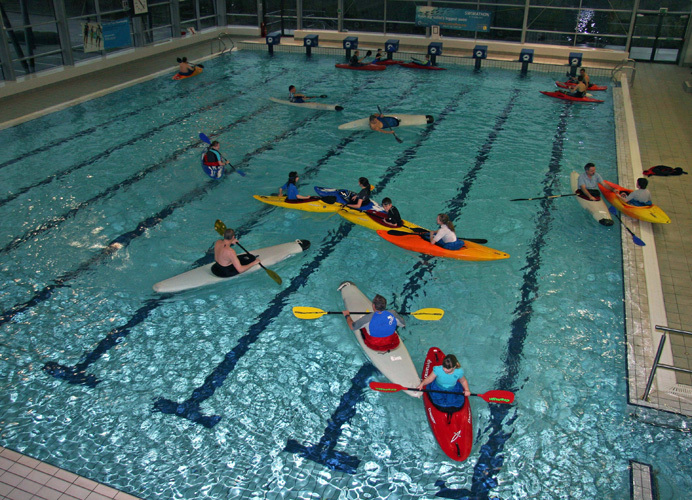 This is a great place to improve your paddling technique, so whats stopping you? Look forward to seeing at the pool. While pulling with the lower hand notice what your top hand is doing. Can you see the back of the top hand? Focus your attention on the pulling arm.